Took this at the Crossgates Mall in Colonie/Albany NY. The mall is right at the JCT of I-90 and I-87. Interesting pic. Transforce took over Papineau at the end of the nineties. I guess that they have started with the Papineau colors to design their company livery.I don't know when Papineau got this white & blue livery. 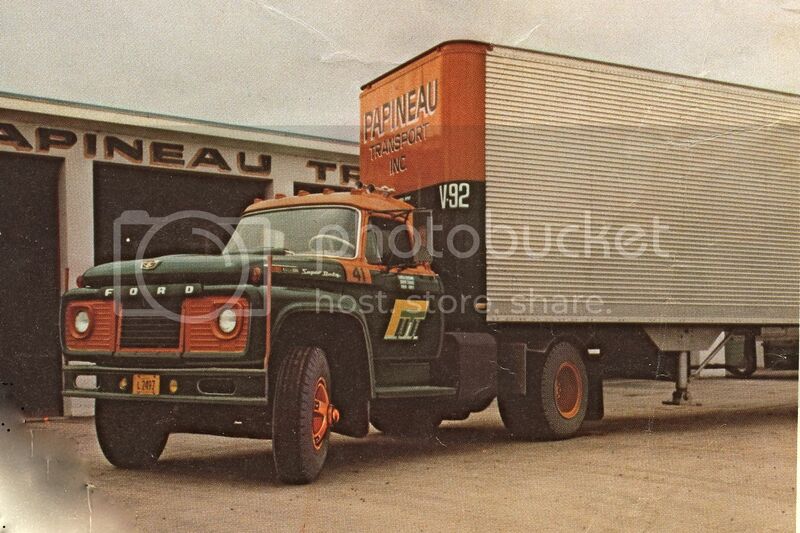 I found recently in old trucking mags pics of Papineau trucks from the sixties and seventies with a very different livery. Here is one of those pics. Gérard,Papineau Transport paint scheme was the one you showed us while Papineau US's paint scheme was the one showed on that first generation Century.In fact,those Century were the last new trucks bought by Papineau US..